The act of gambling has been adopted by civilizations across the world for thousands of years. But with the rapid evolution of technology, online casinos are growing in popularity and reputation with a high demand for easy-to-use ways of placing bets, without the need to dress to the nine’s and purchase over-priced drinks inside a brick-and-mortar casino. Of course these live establishments will never be eliminated completely, and for many the whole idea of the casino experience is tied in with the social environment and buzzing atmosphere, as well as the flashing lights and background noises of the slot machines. Many however, prefer to gamble from the comfort of their own homes. This not only gives them the freedom to partake in games any time they feel like it, it also enables them to gamble in the most inexpensive way, and in private. If you’re in this listed category of players, and are actively seeking somewhere to wager your bets in a safe and secure way – this article is for you! We’ll be looking at the world’s highest-ranking online casinos, their history and credibility, as well as current offers and promotions you can expect to lap up should you choose to register. 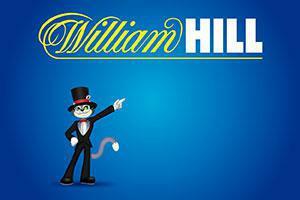 Founded in 1934, William Hill are no doubt one of the most highly-acclaimed and longest-standing online casinos in today’s age. They’re certainly considered the most prolific gambling operator in the UK, with over 2,300 licensed betting offices, and over 16,000 employees – they have also been estimated to make up around 25% of all gambling revenue in the United Kingdom and Ireland. Their sophisticated and ruthless marketing approach, coupled with a broad scope of services including online bingo, poker and “skill games” plus an excellent incentives and VIP program is what has sets them apart from other online bookmakers in the past. In 2009, they expanded to Gibraltar as well as the Republic of Ireland, and attempted to hone offices in both Italy and India, but the deals never took off. When sports wagering became legal in some US states however; the gambling gurus set about erecting offices in Nevada – buying sportsbooks from three separate chains, which later became officially branded with the William Hill stamp. In 2013, they acquired Australian bookmakers; Sportingbet, Centrebet and Tom Waterhouse, which collectively became known as William Hill Australia in 2015. By 2018, they had sold this part of the business to Crownbet Holdings for $300 million AU. Despite their reputation and huge presence in the gambling industry, William Hill have faced a backlash in the past; when the Gambling Commission discovered they had failed to put the appropriate measures in place to combat money laundering and problem gambling. Between 2014 and 2016 they accepted illegal cash deposits which amounted to almost £1.2 million. They were ordered to pay back the full amount, on top of a £5 million penalty charge. They have also been scrutinized for the treatment of staff in the past, by underpaying salaries and forcing them to work in risky, solitary work conditions. Yet they still remain at the top, with a near enough untarnished reputation. And many of their customers will vouch for their top level customer service, easy-to-use interface and attractive reward schemes – which is why we will happily put them at the top of our list as a go-to bookmaker. Next up is 888 Holdings PLC, who were founded by 2 sets of Israeli brothers Avi and Aaron Shaked, and Shay and Ron Ben-Yitzak. 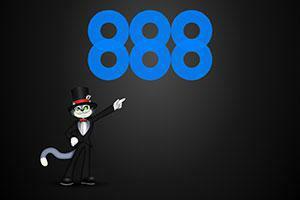 The entrepreneurs first launched the 888 platform (known as Casino-on-Net at the time) in the year 1992. Their administrate centre was moved over to Gibraltar in 2005, where it also became listed under the London Stock Exchange, and a year later rebranded to 888.com. Towards the end of 2006, British-based bookmakers Ladbrokes, were in talks of merging with 888.com but the plan was soon put to bed when UK tax laws changed, creating fear over legal actions by U.S governing officials. Then, in 2015 “advanced talks” were in motion over William Hill taking over the company for $1.47 million; pushing a jump in share prices by 18%. That same year, the company saw over 17 million paying users on their site after an increase in mobile and smart device users. 888 also had investments in the US gambling market during 2006, but soon pulled all of their assets when America passed the Unlawful Internet Gambling Enforcement Act of 2006; amounting to almost $120 million. But, the company didn’t stray too far and initiated a new partnership with Avenue Capital Group in 2013, to create the very first online American poker network. The company’s latest movements saw them become the sole owner of this network last year. The Gambling Commission have also undergone legal dealings with 888 Holdings in the past. This time they were investigated and later fined a whopping £7.8 million in 2017, where 7,000+ customers were granted access to their accounts after deciding to ban themselves, breaking their commitment to problem gamblers. This dented the company’s character dramatically, and caused their shares to fall by 8% that very same year. Bet 365 Group LTD, is another British-based gambling company who were founded in the year 2000. The business was started up by Denise Coates, who borrowed funds of £15 million from Royal Bank of Scotland to get the company off the ground initially, beginning as an ordinary betting shop. In 2005, the company was sold for £40 million to Coral, along with its loan to RBS. Since then it has grown to become one of the biggest betting operators with revenues hitting £646 million in 2012, and the company opened up over 100 tech-based positions in Manchester in 2018. Denise Coates now stands as the company’s joint CEO with her brother, owning 50% of the business’s shares. 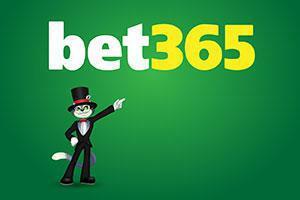 In 2010, Bet365 were awarded “Operator of the Year” and ranked third in the Sunday Times Profit Track 100 league board, which ranked companies based on the growth of their profits. They were also ranked as one of the fastest-growing media and telecommunications companies in the Sunday Times Tech Track 100 board. Even though the company have given generous donations to curb problem gambling and political associations (such as the British Labor Party) in the past, they have still been routed out for not paying players who have won considerable amounts of money. One example (and an on-going dispute) is with a man from Northern Ireland who allegedly won over £1 million on a horse race in 2017. Bet365 didn’t pay out and was taken to court over the matter, though the case still remains open. Another punter who was refused a payout of $200,000 AUD, had his account frozen by the company in 2016. In other controversies, Denise Coates received criticism in 2017 for awarding herself with a £217 million salary, which gambling charity groups frowned upon heavily. 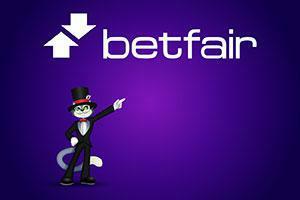 Betfair also emerged in 2000 at the same time as Bet365, when there became a higher demand for book makers and venues for placing sports bets. After 5 years on the scene, 23% of the company was purchased by Softbank, putting their market value up to £1.5 billion. Then, in December the same year, they purchased a horseracing publishing company called Timeform. The business were also the first ever book makers to sponsor an English football team before the Gambling Act of 2005 was eventually passed, allowing companies to advertise their services on both radio and television. A year later, the company had expanded to the point where they had their own Betfair Radio service, which was renowned for horseracing commentaries and results. That same year, they acquired their own U.S television network called TVG for a whopping $50 million. Betfair merged with Paddy Power in 2016, an Ireland-based gambling company which today sees a combined customer base of 4 million users, and a turnover of £50 million a week. They also run operations in various countries including Spain, Italy, Germany and France as of November 2018. Betfair have been slammed over multiple accounts in the past, including illegal dividends, false advertising, avoiding payouts and asking for unlawful “premium charges” from its users. One of the biggest and worst cases for the company was in 2011, when Betfair owned up to concealing a theft of customer data during their 2010 share prospectus. Customer contact info, payment details and usernames with encrypted security questions were all lost, and it wasn’t discovered until 2 months after the ordeal took place. 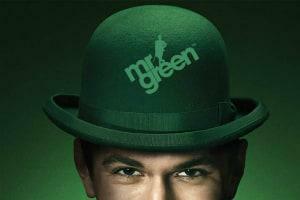 Regulated by the Malta Gaming Authority, Mr Green was set up in 2007 by a trio of Swedish entrepreneurs: Henrik Bergquist, Mikael Pawlo and Fredrik Sidfalk, though their head office is in Sliema, Malta – the parent company ‘Mr Green & Co AB’ is based in Stockholm. The casino itself was launched in 2008, and was one of the first operators to offer games from a multitude of individual gaming suppliers, eliminating the need to exchange chips when playing games from different vendors. At current, the company offers everything from their online casino, live casino, live Bingo, Keno and a sportsbook, with offices based throughout the UK, Italy and Denmark. In 2015, when Mr Green LTD acquired the necessary license to operate in the Italian market, they were also awarded a UK operating license in a bid to further increase their own market revenue. Then, 2 years later they were given another license to begin operating in Denmark, after acquiring the Danish Online Casino Dansk. As their expansion grew further afield, 2017 saw their product range include customer Keno and Bingo products to reach a wider audience and enhance their brand throughout the UK. And in 2018, they launched a mobile-optimized, live 3D casino known as “Live Beyond Live” designed to lure players and create a more interactive environment. The casino have been seen to have a pretty clean record over the years, towards the end of 2018 – they were castigated for offering online casino products to customers in the Netherlands. This resulted in a fine of €312,500 in September last year, due to the fact they did not hold a legitimate operating license, and were not following the rules in line with the European Union on the restriction of trade among member states. Previously known as Unibet Group PLC, is an online gambling operator made up of several different brands, including 32Red, Maria Casino, Unibet and iGame among others. 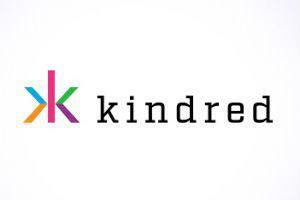 Founded in 1997 by Andres Strom, Kindred Group are a Maltese registered company, with offices throughout Europe, Australia, Stockholm and London. When the Danish market became re-regulated in 2011, Unibet were awarded 1 of 48 licenses, and a year later they took on Danish bookmakers Bet24. After moving its poker operation away from MPN network to a standalone site, Unibet signed a deal with Thunderkick in 2014; making them the first brand to support Thunderkick games. That same year, Kambi Group PLC was created as a B2B subsidiary of the company, with 95% of business stakes distributed to Unibet shareholders. They also acquired Bingo.com as a business along with its domain for $8 million. Come 2016, shareholders of Unibet all gave their approval for the business name to be changed to Kindred Group PLC, due to the “company’s focus on developing a multi-brand strategy moving forward.” Since changing names, the operators became responsible for several micro-gaming-powered casinos including 32Red.com and Roxy Palace. Then, in 2018 possibly saw their biggest movements yet, when they created their first in-house brand in Romania known as Vlad Cazino. They also developed their own custom online gambling ad blocker tool so gamblers were able to disable themselves from seeing unwanted advertisements. By August last year, Kindred Group went into a partnership with Hard Rock Hotel & Casino Atlantic City (formerly known as the Trump Taj Mahal) paving the way to their first deal in the American sports betting market. Unlike many of its competitors in this list, Kindred Group and its subsidiaries have been surprisingly well behaved in terms of being ratted out for any fraudulent or immoral behavior. One minor incident on record, is when they were fined $107,000 by Stan James Online for failures related to money laundering and problem gamblers. In a similar situation as 888 Holdings, Kindred were seen to be allowing previously self-banned customers to access and deposit cash into their accounts. This all led to the termination of the Stan James brand shortly afterwards. 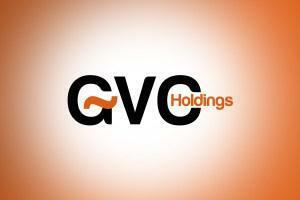 Heavily focused in both the B2B and B2C markets, GVC Holdings operates under 4 business segments including, Ladbrokes, Bwin, Sportingbet and Gamebookers. 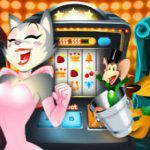 They are also responsible for a number of gaming labels including partycasino.com, Foxy Bingo, Foxy Casino, Gioco Digitale and CasinoClub. The company itself, was founded in Luxembourg in the year 2004. Back then it was Gaming VC Holdings, later rebranding itself to just GVC Holdings in 2010. In 2012, both William Hill and GVC equally bought into Sportingbet to reach wider markets. Then in 2016, GVC acquired Bwin Party Digital Entertainment for £1 billion after winning the bid against rivals 888 Holdings PLC. In 2017, they signed a £4 billion deal that gave them Ladbrokes Coral, where the owner decided a year later to strike a deal with MGM Resorts, in order to exploit the US sports betting market. Today the operators main head office is on the Isle of Man, with licenses in over 18 different countries world-wide. Like all of the online casinos on the list, GVC have also been partaking in unlawful activates in the past. The most known one was for “deceptive advertising practices” when one of their subsidiary brands ElectraWorks had been caught placing ads for free bonuses and rewards on GVC’s Bwin website. Although UK Advertising Standards Authority had consistently cautioned them for being openly deceptive – eventually they were fined $470,000 after it was discovered they had been doing the same for PartyPoker.com, PartyCaino.com and Casinolasvegas.com. It’s easy to tarnish casinos and bookmakers with the same brush, particularly when the majority of public consensus depicts them as being impersonal money-grabbers! But, despite the controversy surrounding these brands, they are still the top ranking and most legitimate online gambling operators, who are certified and regulated by the necessary bodies. If they weren’t – we wouldn’t be directing you towards them in the first place! If there are any lessons to be learned, it’s to make sure no matter what you’re searching for in the ocean that is the online market, whether it be a casino or bookmakers, shopping website, or anything that requires you to sign-up and pay money etc. – always look for the basic telltale signs that verify their services, such as a secure domain, star ratings and reviews, their terms and conditions (aka how they handle customer data etc.) and all other creditable attributes. Paying attention to this info at the start, could prevent you from any nasty surprises in the future… Now, go make use of some of these awesome bonuses and be sure to tell us if you win – Good luck!